Carlsbad Community Theatre proudly presents its 2019 Summer Camp where students will build on their existing theatrical skills as well as discover new talents gaining the experience and confidence of mastering the stage. 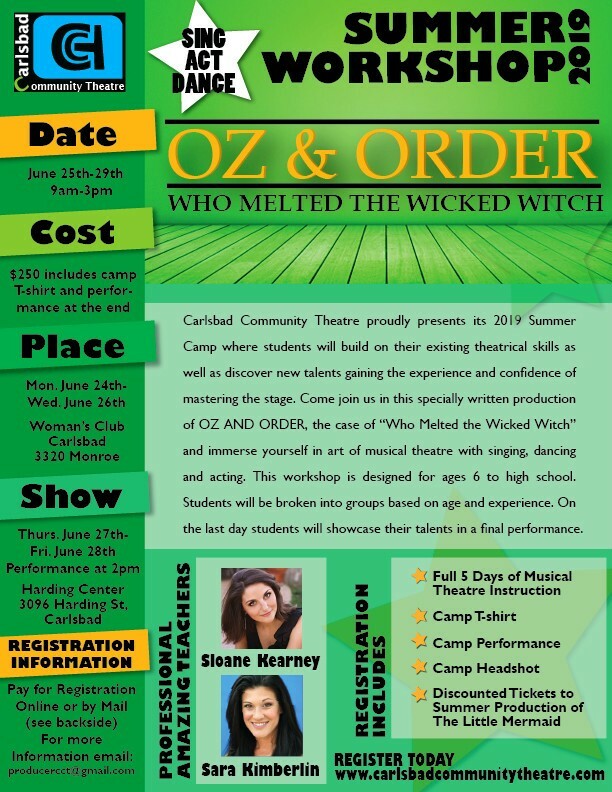 Come join us as we explore the best of CCT’s 36th year with this specially written production of OZ AND ORDER, the case of “Who Melted the Wicked Witch”. This workshop is designed for ages 6 to high school. Students will be broken into groups based on age and experience. On the last day students will showcase their talents in a final performance.